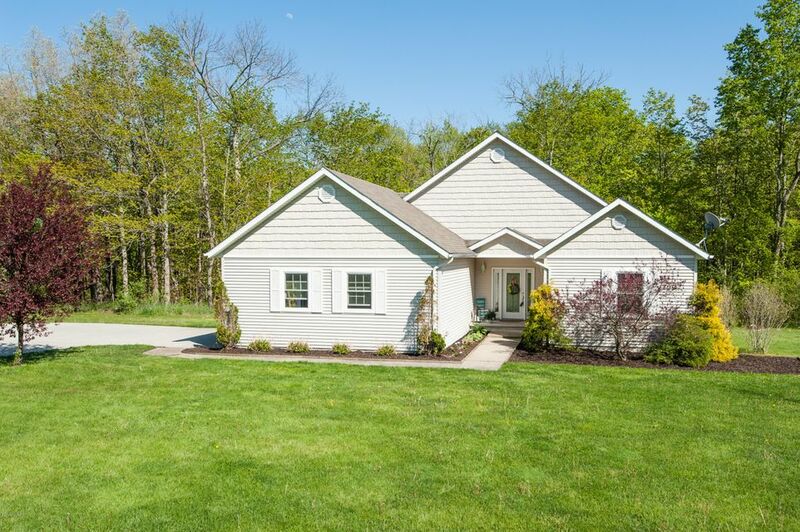 Located at the end of a dead end road, on over 2.5 acres with Deer Lick Creek running through the backyard, this home is gorgeous! Kitchen features include granite counter tops, stainless steel appliances and cherry cabinets. Main floor master suite opens up to the huge deck overlooking the creek and ravine, and also has a beautiful master bath with jetted tub and walk in closet. Fully finished walkout basement includes a 2nd family room, bedroom and full bath, along with plenty of storage. Property also features a pole barn. A must see!